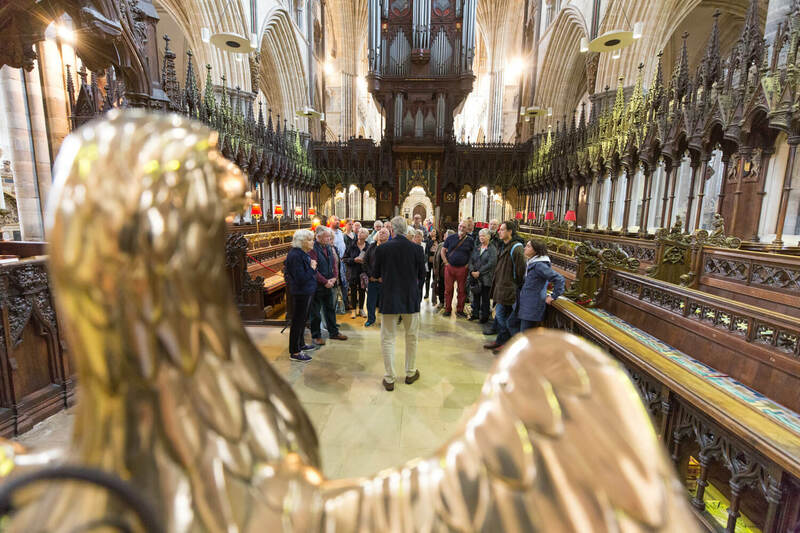 Our experienced guides will lead you through the Cathedral on a free tour as part of your visit to Exeter. 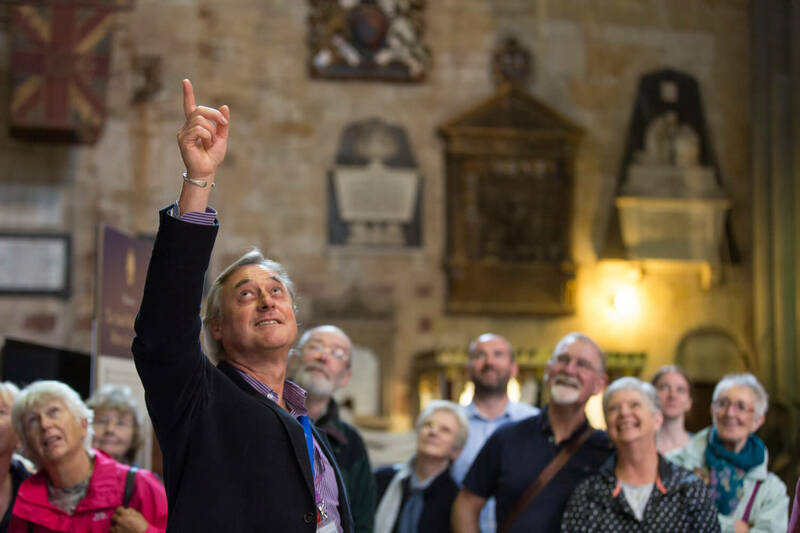 Discover the characters that have influenced the Cathedral through its long history, hear about the building of this ancient masterpiece and uncover secrets from its past. 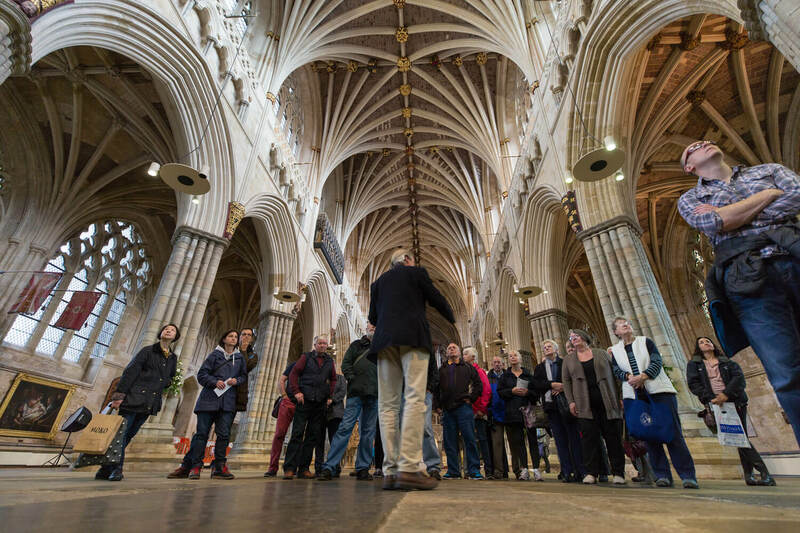 Guided tours run several times a day and an audio tour is also available for FREE during normal opening hours. 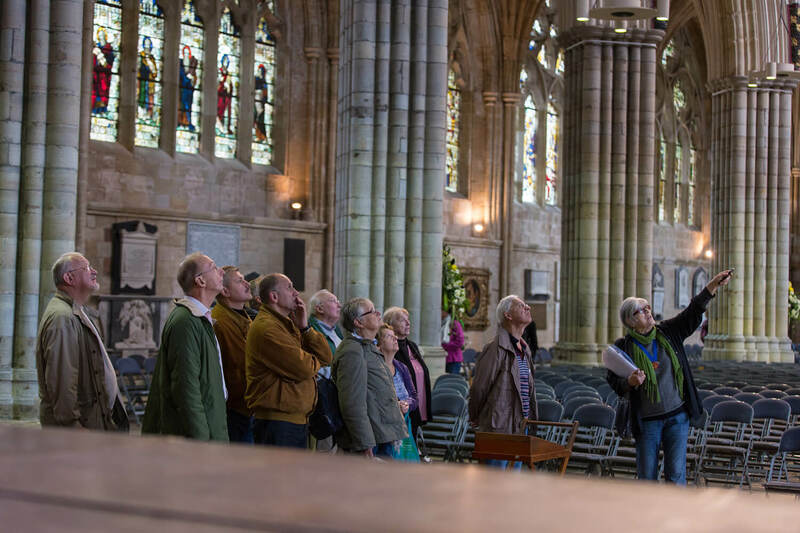 Borrow an audio handset and, with John as your guide, explore the Cathedral in your own time. Use of audio handsets is included in the Cathedral admission charge. Our audio guides are being replaced, and will be with us c. May 2019.